If you are interested in replacing your dentures with a long-lasting, permanent dental prosthetic, All-On-4 hybrid dentures may be right for you. 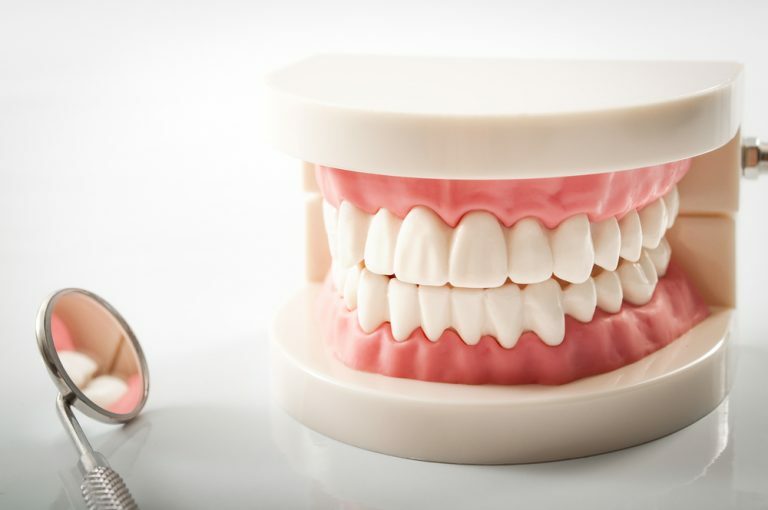 These unique dental prosthetics combine the power of dental implants with custom-built permanent dentures, allowing you to restore your smile if you’re missing one or both arches of your teeth. How Do All-On-4 Hybrid Dentures Work? All-On-4 uses proprietary dental implants to support permanently-fixed dentures, and restore your natural bite and smile. Each denture arch is attached to four dental implants, which are placed either in the upper or lower jaw. After these implants have healed, a denture is made that is attached permanently to these titanium posts, restoring a full arch of teeth. The denture will not move or slip, and does not need to be taken out when you eat or sleep. How Are All-On-4 Hybrid Dentures Placed? All-On-4 dentures can be used to restore the lower arch, upper arch, or both arches of the jaw. Before the procedure can begin, any remaining teeth on the upper or lower arch must be extracted. After this, one of our dentists will begin the procedure. To begin, four dental implants are placed in your gum line. These implants function as synthetic roots, providing a solid platform to which the dentures can be attached. The surgery typically takes around 2.5 hours for each arch, and it usually takes around 4-6 months for these implants to fully heal. During this time, we’ll create a set of dentures based on impressions and images taken of your mouth. After your implants have healed, your All-On-4 hybrid dentures will be attached, and the procedure is complete. Your dentures do not have to be removed. You must simply wear a night guard, follow the oral care regimen given to you by your dentist, and come back every 3-4 months for a denture cleaning and oral exam. Interested In All-On-4 Hybrid Dentures? Schedule A Consultation Now! Hybrid, implant-supported dentures are not right for everyone. They are an investment and are only appropriate for patients who are not currently experiencing oral health issues, like periodontal disease or jaw deterioration. But if you have a healthy mouth, and want a more convenient, comfortable alternative to your current dentures, treatment with All-On-4 hybrid dentures may be right for you. Contact us today to schedule an appointment. Our knowledgeable, skilled dentists will help you understand all of your options to restore your smile! "Dr. Khan is very friendly and honest. He was interested in recommending what was best for me. The dental hygienist gave me great info before I even saw the dentist. And the receptionist was friendly that we ended up chatting. Great experience. I will recommend."